£259 + £11 Next Day Shipping. 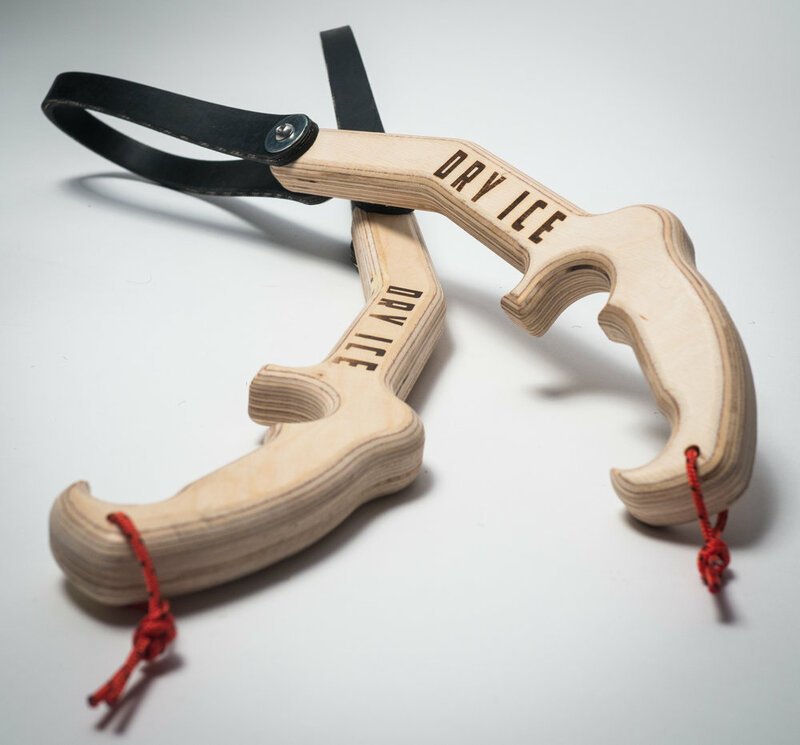 The KRONOS® is the world's first 'T' rated, CE certified technical ice climbing tool made from wood. We developed ICICLES® in response to overwhelming requests from our customers for a tool with a smaller handle for climbers with reduced volume hands. ICICLES feature a similar handle design as our popular DRY ICE® Tool with one major difference, the handle size has been reduced by 30%. The strap design is the same as our on our full size DRY ICE Tool, making the straps interchangeable between tool sizes.